In one of the greatest sports cities in America, Boston has consistently had a top competitor in every sport they compete in. With the Boston Red Sox, New England Patriots, Boston Celtics, and Boston Bruins all combining with a total of 38 championships in their sports, the City of Champions is known for its four major sports—but not for its underperforming Major League Soccer team. 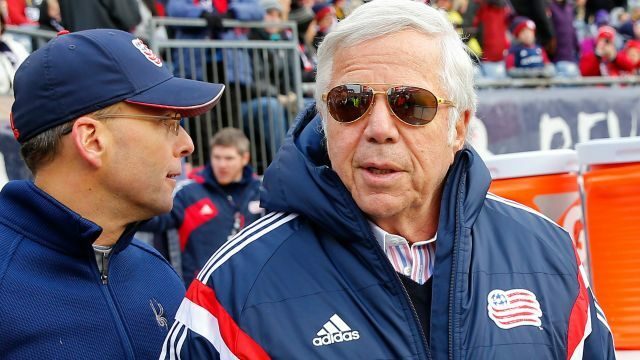 Owned by the New England Patriots owner Robert Kraft, who won five Superbowls under his ownership, the Revolution are nowhere near the dynasty that Kraft created in American Football. Part of this is the fact the Revolution are a much younger team, as they were created in 1996 as one of the ten original teams in Major League Soccer’s inaugural season. For one of the team’s that has been around since the beginning, the Revolution have had little to no success since the clubs inception. Despite having a vast majority of talent on the team throughout its history, New England holds the record for most losses in MLS Cup games. The Revolution won their first ever trophy in 2007 when they beat FC Dallas to win the U.S. Open Cup and in 2008, they won the 2008 North American SuperLiga. However, the Revolution have never won an MLS Cup or MLS Supporters’ Shield. With soccer on the rise in America, and new expansion teams like Atlanta United and LAFC bringing in a bigger fanbase than the Revolution has ever seen in its 24 years of existence, its time for a rebuild in Foxborough. Though the big problem for the Revolution isn’t the sport itself—English Premier League soccer draws in nearly 500,000 viewers per game on NBC Sports. The big reason for this is simply the quality of soccer. Players in the Premier League are the top talent in the world, while the MLS is simply nowhere near that ability. It’s simply unfeasible now to think the MLS can ever compare to Europe’s top leagues, as they have a much longer history, larger fanbase, and the Champions League to top it all off. But with some restructuring, the New England Revolution can find itself a large fanbase and its first MLS Cup. The big answer to this problem is the Kraft Group investing more into its soccer team. In 2017, the Revolution’s team value came out to be $225 million, in the bottom half of all team values in the MLS, with LA Galaxy being the most at $315 million. While the Patriots’ team value sits at $3.7 billion. With money to spend and a big market opening up, it is simply too easy for Kraft to bring the Revolution to a top MLS team. With some big signings and a competitive team, the Revolution will draw in fans from all around New England. Titletown loves its champions, why not make another?